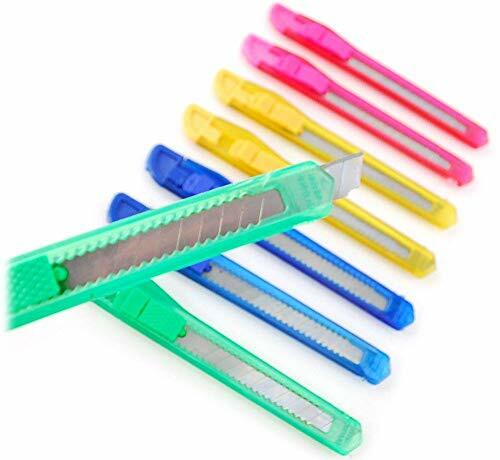 24 Knife Utility Box Cutter Retractable Snap Off Lock Razor Sharp Blade Tool !! Product prices and availability are accurate as of 2019-04-17 13:44:07 EDT and are subject to change. Any price and availability information displayed on http://www.amazon.com/ at the time of purchase will apply to the purchase of this product. 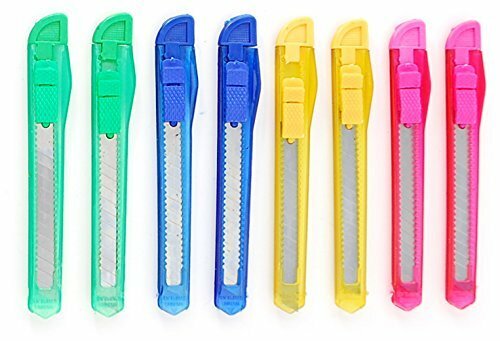 New Lot Of 24 Brand New Utility Knife Breakaway Snap Off Retractable Blades Box Cutter General Purpose Sharp Blade Tool Assorted Colors ! This set of 24 comes in assorted colors which will be shipped randomly. Always a snap away from a fresh point and a sharp edge with this breakaway snap off box cutter. 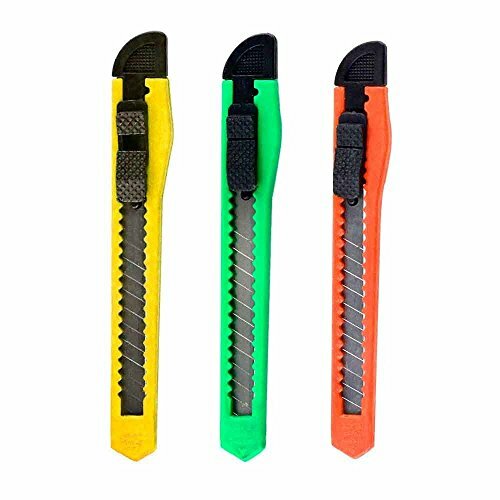 This colorful retractable knife has a plastic body and snap off blades to maintain a sharp edge for precision cutting. Great for cutting paper, wallpaper, contact paper, cardboard, vinyl, carpet, twine, and other materials. 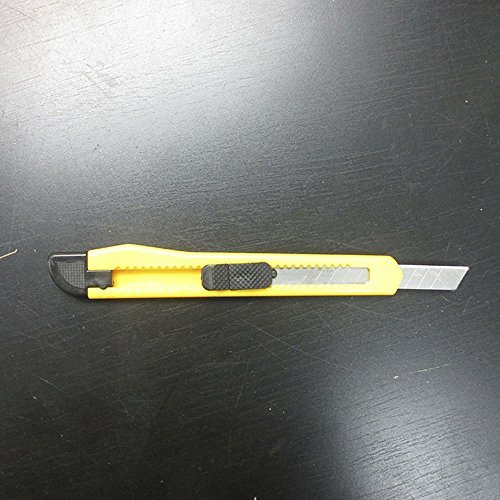 Perfect comfort grip knife to have at home, garage, office, or warehouse, it's the ideal tool to always have handy. Measures 5 1/4" L X 3/4" W when retracted.